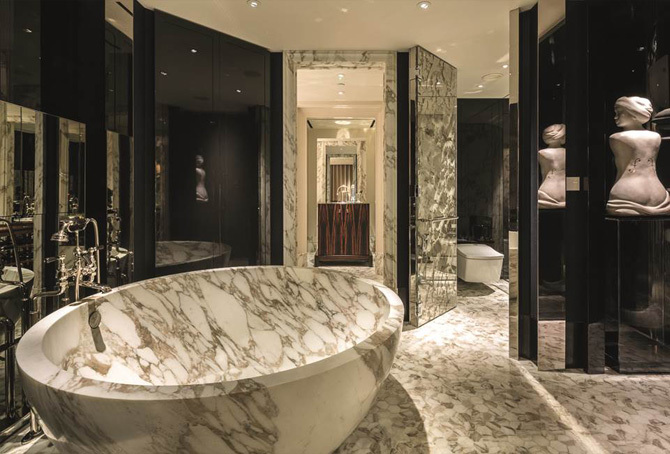 One of Concept’s finest marble and stone bathroom tile suppliers “Lapicida”, are among the world’s leading international natural stone specialists. 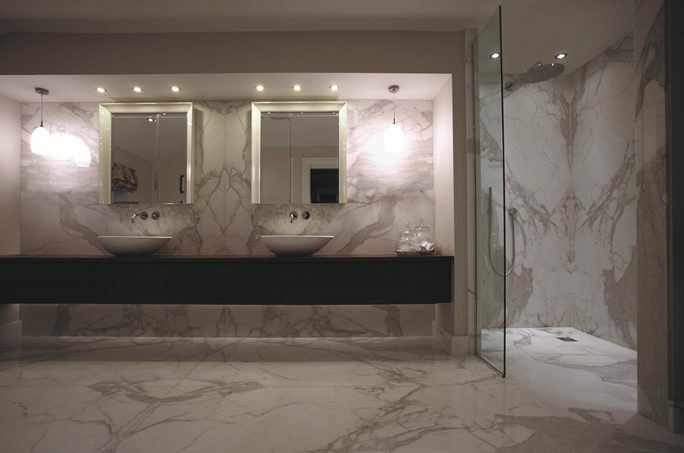 For over 25 years they have scoured the globe, in search of the finest luxury natural stone, carefully crafting marble slabs and tiles, that you only see in the highest quality of luxurious new build developments, hi end refurbishments and private client projects. 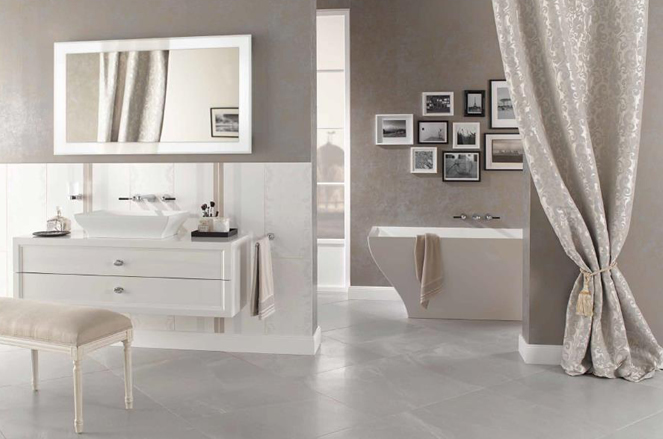 Lapicida supplies tiles in beautiful, responsibly sourced materials such as marble, limestone, quartz and granite. Their craftsmen work to the highest standards, producing tiles that use the very best finishes, from classic French limestone to fine Jerusalem stone. 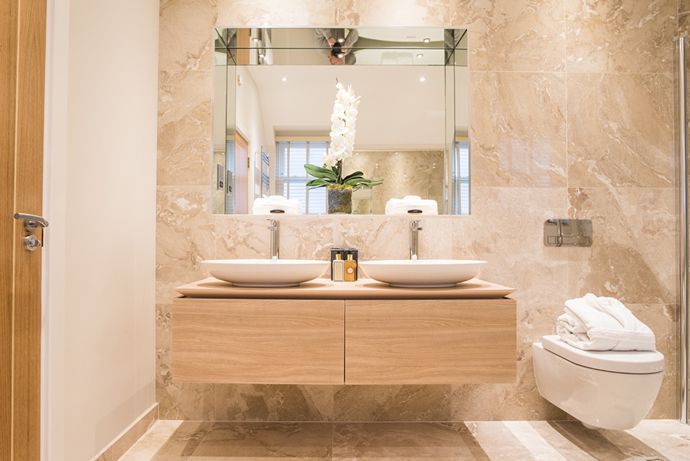 Concepts in house design team will design and detail your bathroom project creatively, using the very best marble and stone finishes, to enable an exquisite individual look for your development or refurbishment. Our architectural setting out service, can help you coordinate the details of your bathroom project, to ensure you get a sophisticated and luxurious feel – Concept offer the latest colour coordination advice together with tile calibration and tile joint setting out, plumbing pipework and waste positions for M&E, to small power and the bathroom lighting trends. At Concept Virtual Design we work with the latest innotative products available, to create space and functions exactly as you need, while taking the user experience to an entirely more luxurious, high end level. 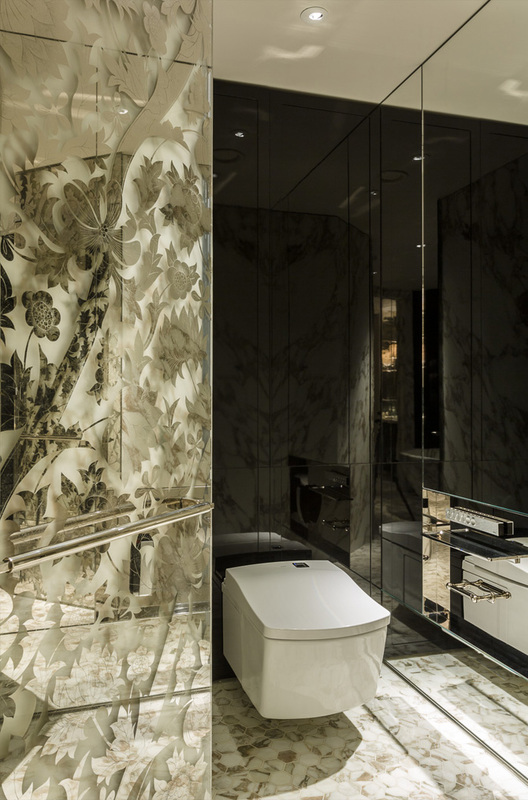 Featured in the recently opened luxurious Rosewood London hotel, is the ultimate TOTO Neorest Washlet Bidet -Toilet, in these luxurious bathrooms, which complement the decadent standard these rooms demand. 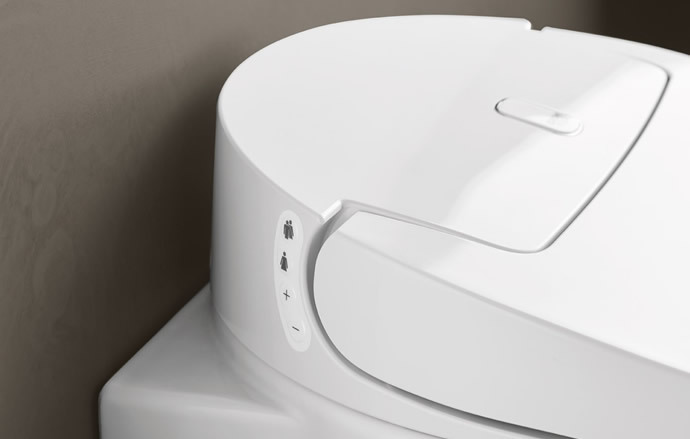 With a warm water jet and gentle air dryer, the user experience is convenient, hygienic and all customisable, while the WC comes with a remote control to allow you to fully personalise the WC with your preferences for complete comfort. This level of technology offers extreme comfort and hygiene to turn the everyday into a luxurious, completely cleansing experience. The Neorest toilet bowl also includes a bacteria-fighting coating (which is hydrophilic zirconium) which makes washing away dirt and bacteria easy and keeps your WC cleaner for longer. 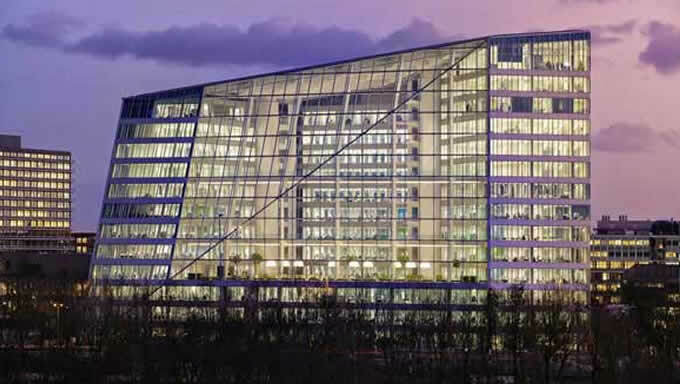 A photocatalytic process is then triggered by the integrated UV light within the WC’s lid. The toilet bowl is sprayed with electrolysed water before each use, which is antibacterial and prevents the buildup of dirt and limescale. Features like these take the TOTO Neorest Washlet to a high end, luxurious standard that simply offers you the best experience possible. Whether you’re renovating a bathroom to a high end level or have a luxury new build, Concept Virtual Design can help you create something that is both unique and beautiful. You can view the TOTO Neorest Washlet and SG Washlet in our state of the art showroom! 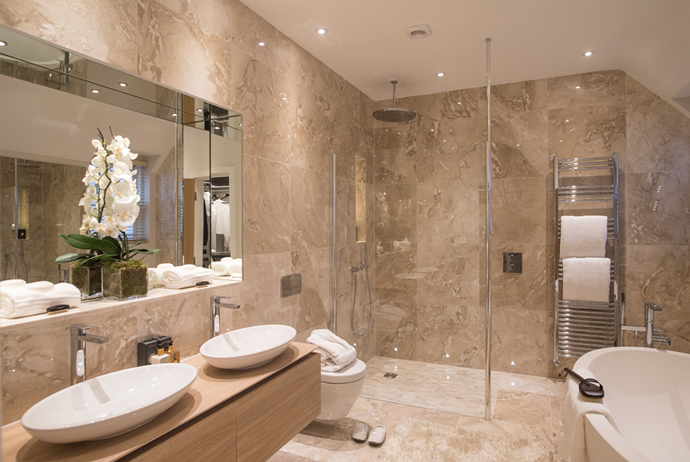 The perfect bathroom for your luxury new build apartment, requires careful planning to ensure the result is something truly spectacular, making it a focal point. Concept Virtual Design’s creative in house design service can help you maximise and visualise the space available,to create bathrooms and tile finishes, that deliver a unique and exquisite user experience – making the everyday rituals into a pleasure. 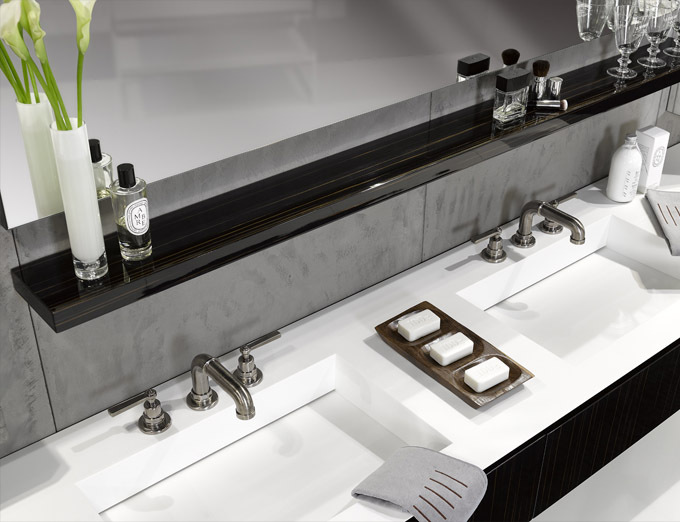 We’ll help you examine every detail of the space to make it work for you, from innovative products and technology to luxurious textures, finishes and materials that will take your bathroom to that high end level. Our in house bathroom design offer, includes a virtual A3 colour design and setting out service, to help you achieve perfect colour coordination, texture and lighting, which are critical to obtain to create the optimum look and feel that you want in the space. For a classic, timeless look that will look incredible for years to come, Concept’s in house Design Team will guide you on the right choices on coordinating tiles and sanitary-ware, to wall and door paint colours. 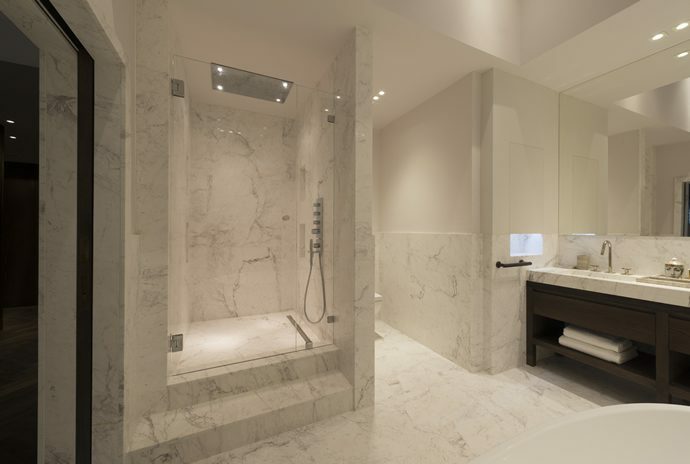 The beautiful examples shown in this project include an exquisite walk in ensuite shower, complete with a TOTO Luminist basin which adds a striking yet subtle addition to the space. The translucent, scratch-resistant material is lit from below, giving the basin a beautifully soft glow. Concept Virtual Design specialise in designing bathroom projects for Hi End New Build Apartments, New Build Luxury House Developments, Quality Refurbishment Projects and Private Client Projects for one off Extensions or New Developments . Let us help you create the bathroom of your dreams. The bathroom of your dreams is not far away with “Concept’s Virtual Designs, Project Design Service”. A luxury finish, with every element customised to meet your exact requirements can be combined to create something truly unique and beautiful . Concept offer a creative “A3 Colour Visual Design and Setting Out Service”, that gives you full control over your project, down to the last minute detail. 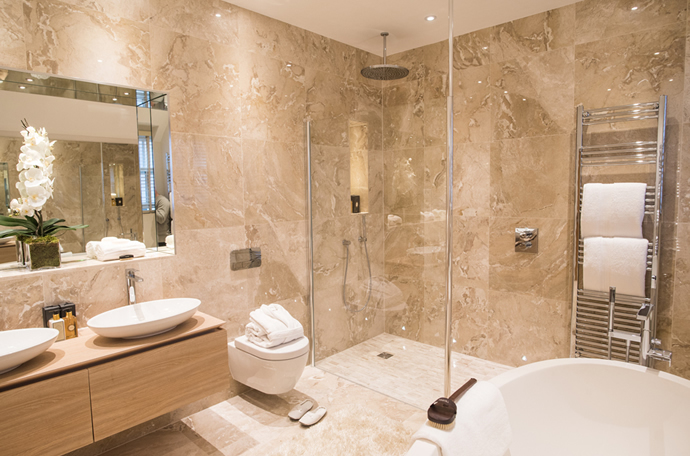 We work on detailed private client projects together with projects for leading architects, luxury developers and quality building companies, to design and supply luxury bathrooms for both new builds and high-end refurbishments. 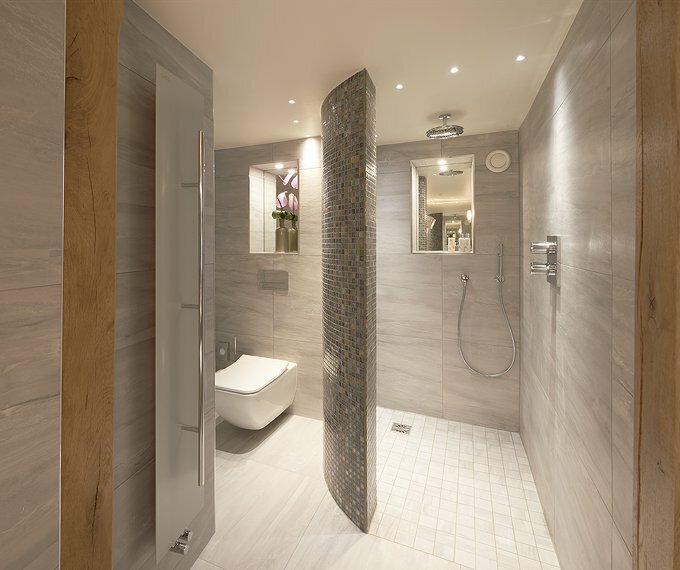 We often start the bathroom project designs and visualizations at an early stage, before building construction has actually commenced, allowing us to integrate our designs into the layout of the building, making adjustments to internal walls and doorway positions. This means we can advise on the most optimal use of space, to facilitate the most sophisticated layouts, meeting our client expectations. 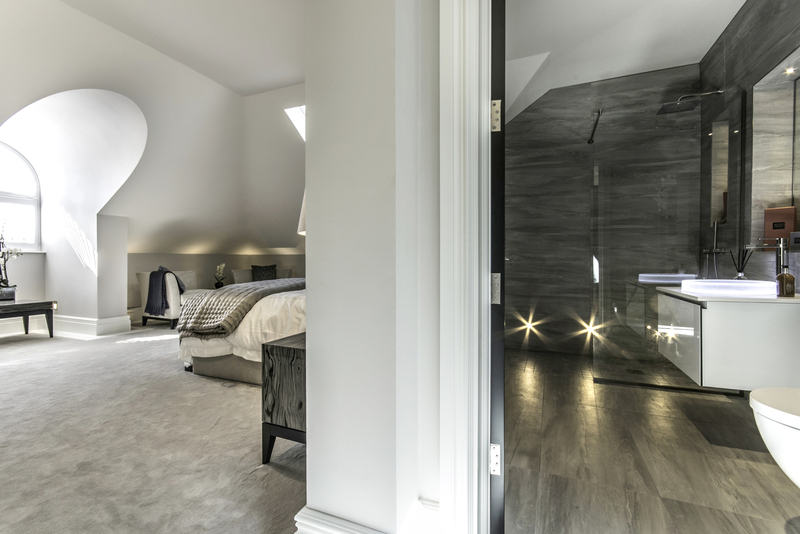 These stunning images are from a recently completed master en suite – Concept’s in house design team worked closely with a luxury developer, who specializes in quality new build developments in Beaconsfield and London. 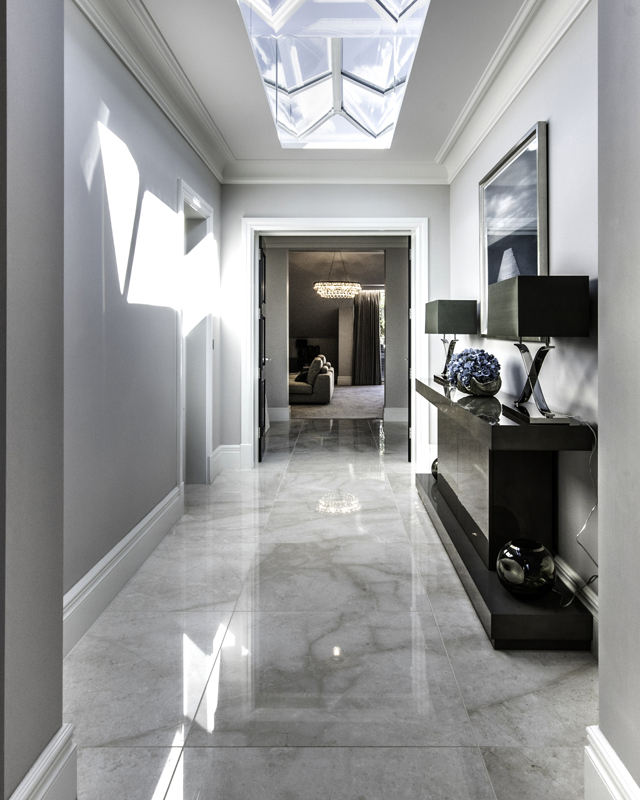 The setting out of marble wall and floor tiles, niche recess walls, door ways, boxing’s , lighting and overall attention to detail, were paramount in creating this exceptional look and feel for the luxury developer, resulting in a quick sale of this development. 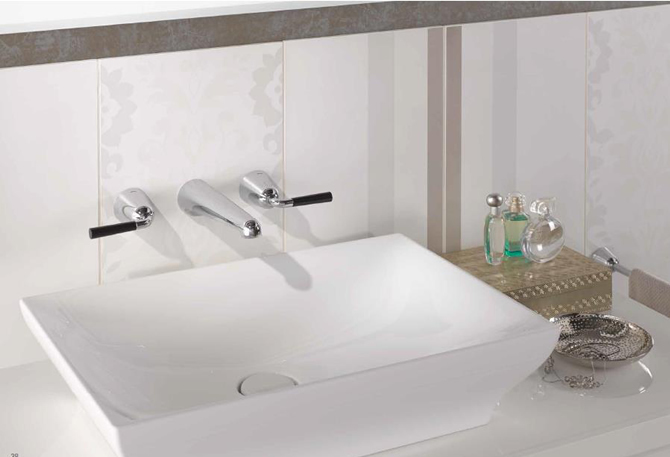 Cast your eye across the new basin from the La Belle range from Villeroy and Boch, and you’ll see how beautifully the exquisite design from the La Belle bathtub has been applied to this rectangular surface-mounted washbasin. The elegant thin rim and comfortable depth of 120mm gives perfect functionality while maintaining the exceptional style found within the La Belle range. 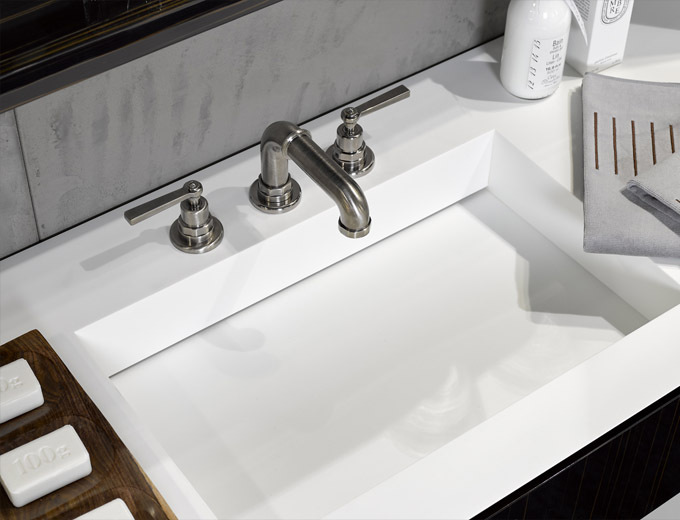 Perfect for completing a new build or complete high-end renovation of an existing bathroom, the La Belle bathroom can be combined with a raised tap or wall-mounted feature taps. Another exciting new product from Villeroy and Boch is the ViSeat, the most comfortable toilet seat in “bestseller”. 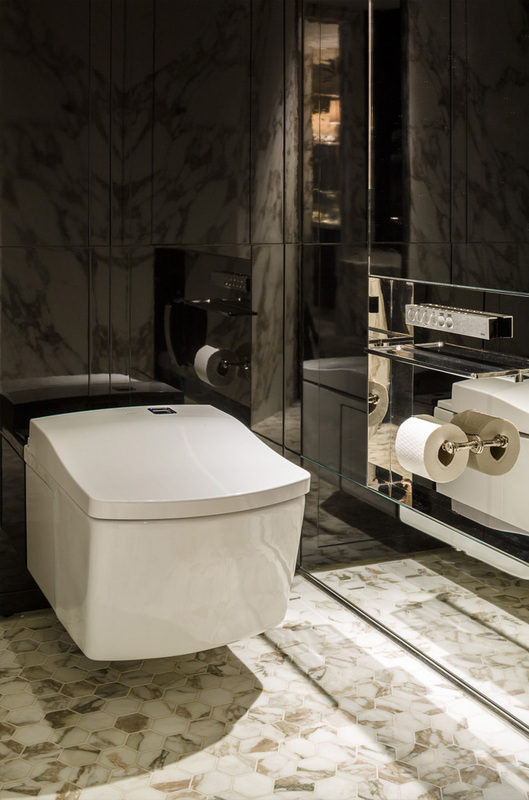 This incredible new design offers another dimension in comfort and luxury, with virtually invisible technology integrated into the toilet seat keeping it looking stylish and sleek. 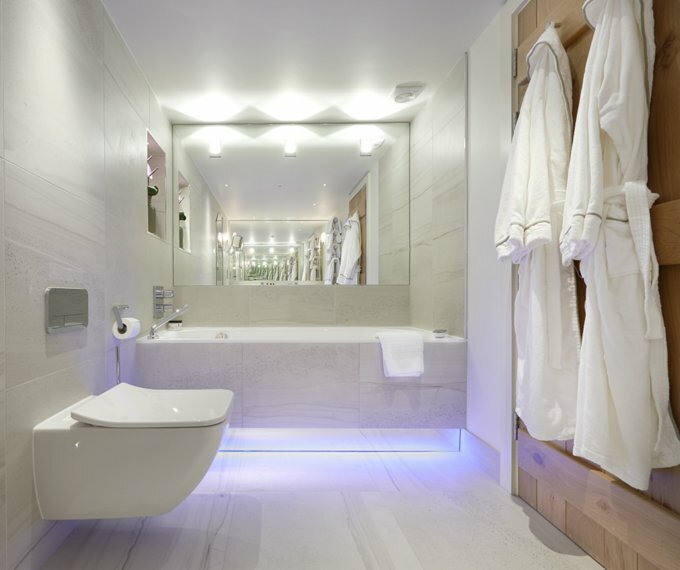 The ViSeat offers users a unique experience, where a white night light with daylight sensor means you’ll never have to turn the bathroom light on during the night again. The luxury adjustable heated seat sees you waving goodbye to ever having to sit on an unpleasantly cold seat ever again, meaning you can leave the bathroom window open without having to worry about receiving a cold shock next time you use the toilet. 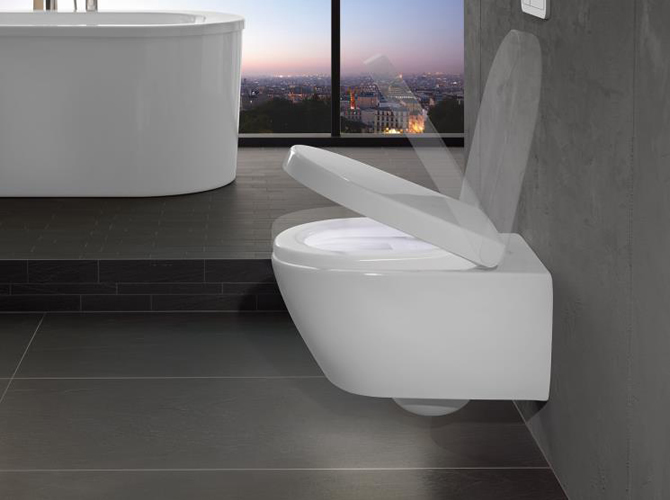 The auto-open and -close feature includes soft close, for a smooth motion when the toilet is approached or moved away from. The distance sensor is adjustable, as is the temperature of the seat, allowing you to personalise this for maximum comfort. 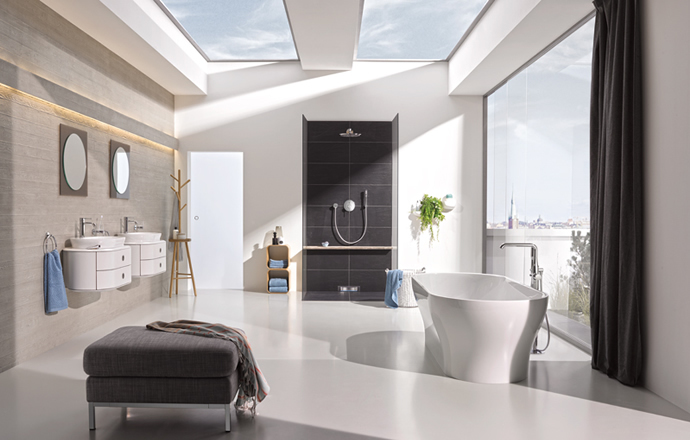 With Concept’s expert bathroom design integrating these exceptional new products from Villeroy and Boch will take your high-end bathroom renovation or luxury new development to the next level, adding sublime elegance and style to the room. For the very best in top end bathroom design, you often need an approach that encompasses a range of aspects including – creativity, flair, uniqueness, practicality and a thorough knowledge of latest products. 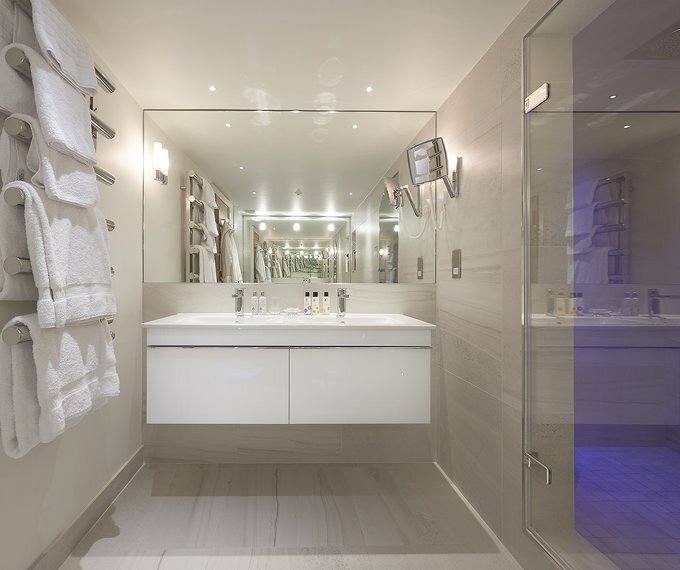 At Concept Virtual Design, our design team have built up a wide range of skills, that we utilise to create truly stunning designs of amazing bathroom projects. 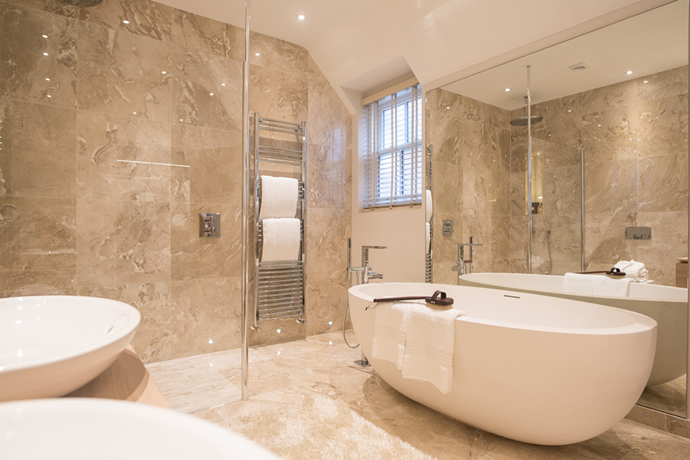 From the very latest tiles, textures and finishes, to the layout and setting out of M&E pipe work, waste positions and tile calibration, we can comprehensively cover all the aspects of your bathroom design as part of the service. 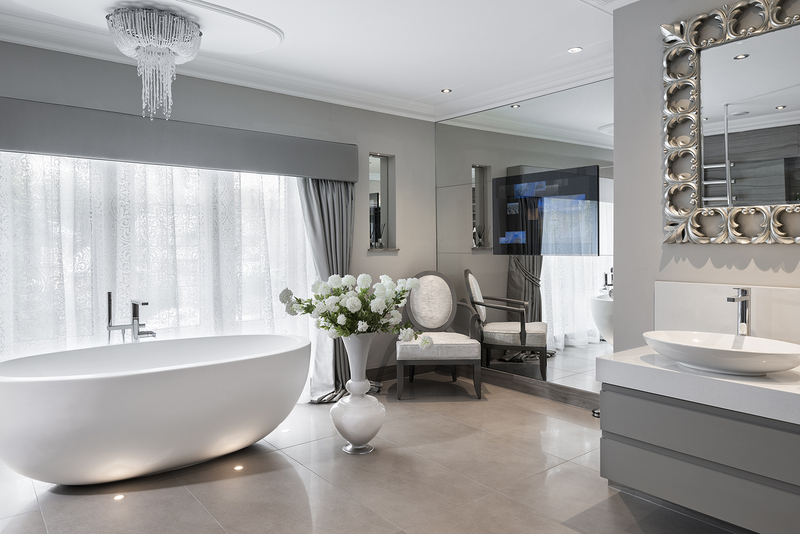 If you are building a new luxury development or refurbishing a quality refurbishment project in Oxshott and Weybridge in Surrey, Concept can help create the right unique feel for your bathroom, from an early stage, such as advising on the positioning of walls and doors and room setting out. 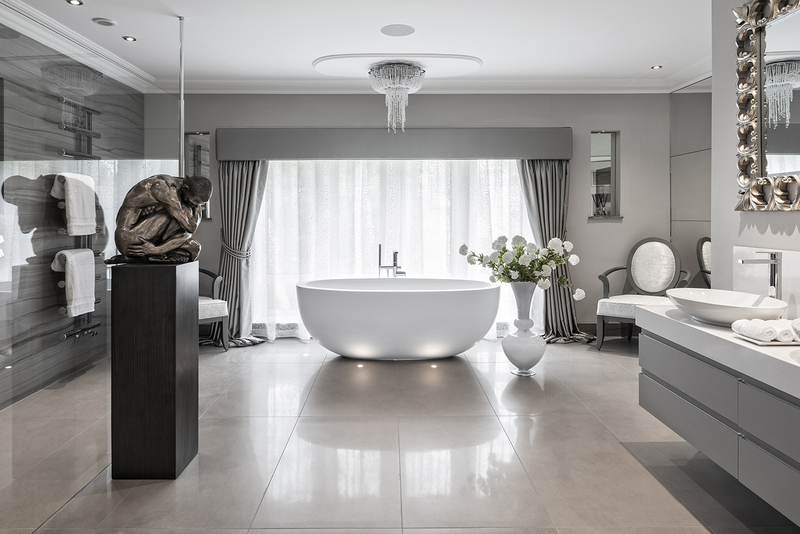 We work with Leading Architects, Quality Contractors and Luxury Developers in Surrey and Berkshire, to create timeless, very high quality bathrooms that will look stunning for years to come. Please click on our project section of our web site to view some of our latest projects . 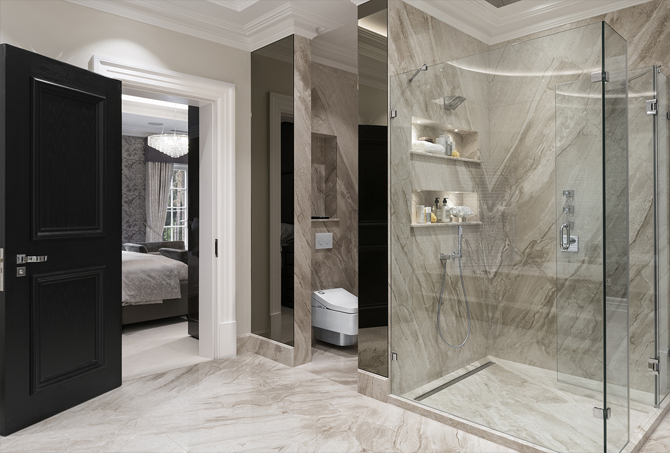 In our showroom you can see the latest tiles and finishes that we can incorporate into the designs, using high end quality products, to bring true decadence to your bathroom project. 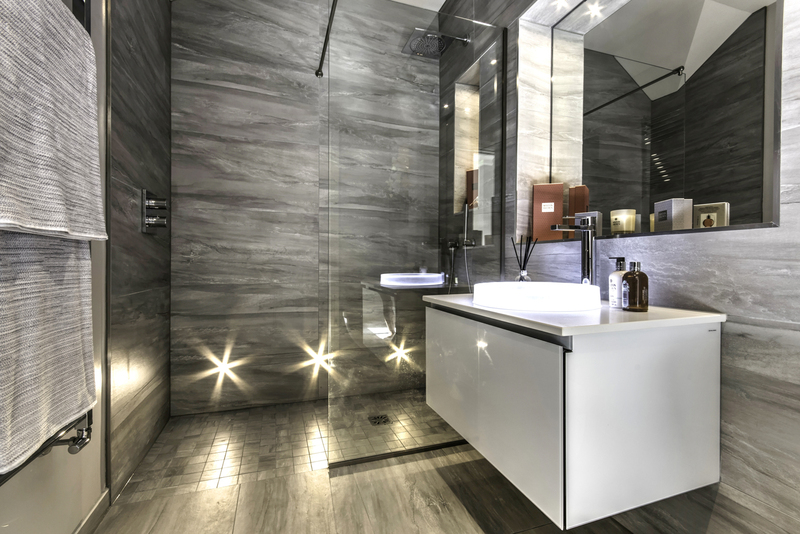 We can also advise on sophisticated bathroom lighting solutions, as it is very important to have the right bathroom ambiance . 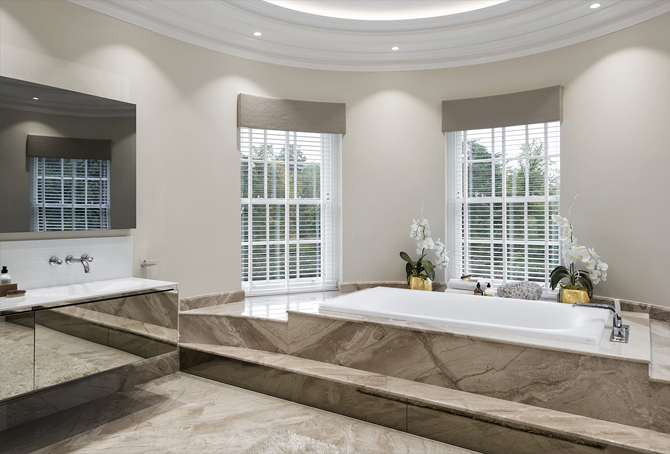 For Architectural Luxury Bathroom Design in Oxshott and Weybridge, Concept Virtual Design have the answer to creating exceptional bathrooms that make everyday routines feel truly decadent. 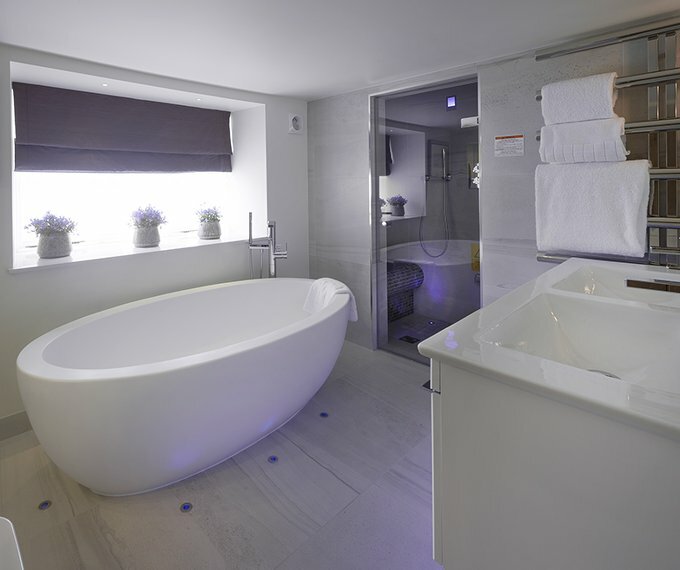 Concept Virtual Design are specialists in “Exceptional Luxury Bathroom Design”, we design and supply bathroom projects for boutique hotels contracts, private client commissions, high quality refurbishment projects, as well as luxury new build developments. Concept will design and supply exquisite bathrooms that ooze luxury and decadence, with top quality products that ensure you never have to worry about durability. We work seamlessly together with the area’s leading architects, developers, interior designers and quality building contractors, to transform dreams into reality. 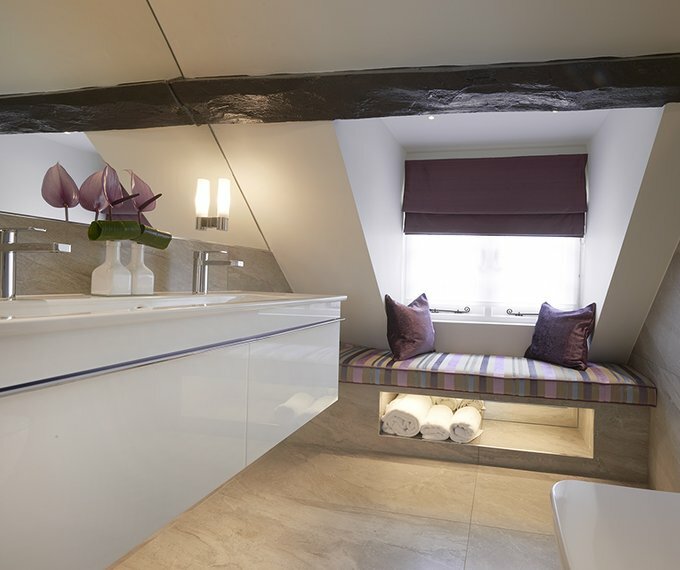 In a recent luxury boutique hotel project for “The Dog & Badger Cottages” in between Marlow and Henley on Thames – Concept Design’s in house design team worked closely with the owners, architects and quality contractors, to create stunning bathrooms and beautiful wardrobes. All fittings were supplied to a very high level, with the carefully thought out design bringing a truly exquisite feel to the rooms. 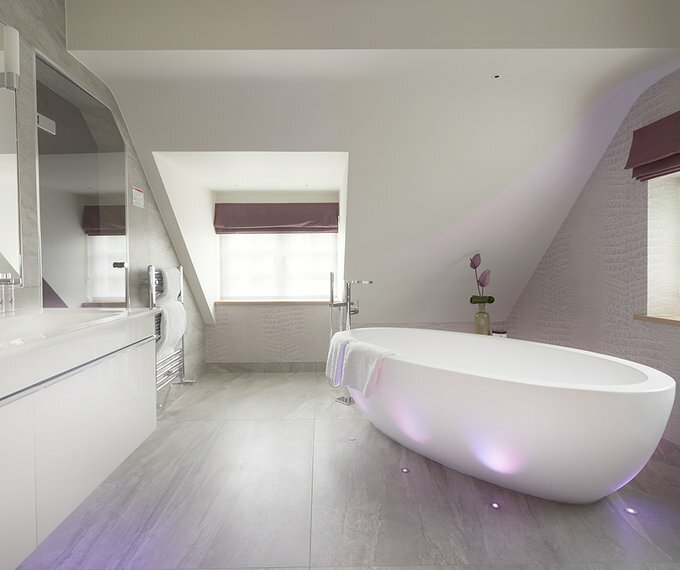 Attention to detail is key, for example, a freestanding bath lit from below with ambiance lighting. 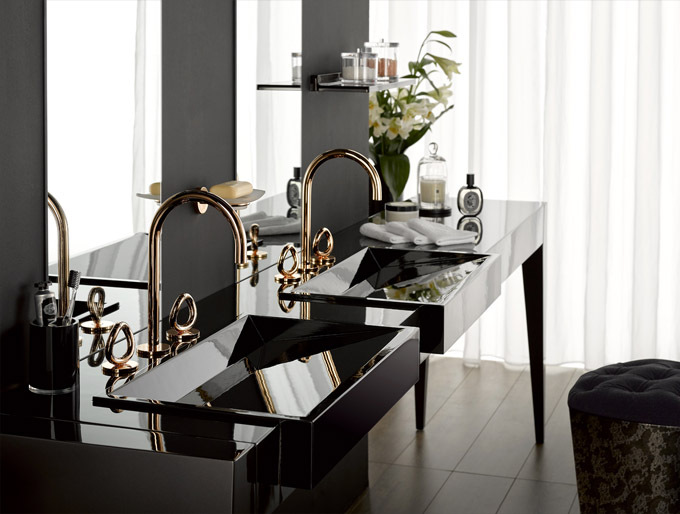 His and her vanity basins, add a touch of opulence in a new white glass finish by Villeroy and Boch, where straight, clean lines keep the room feeling light and fresh. Contemporary designs maintaining light also rejuvenate the feel to the rooms. 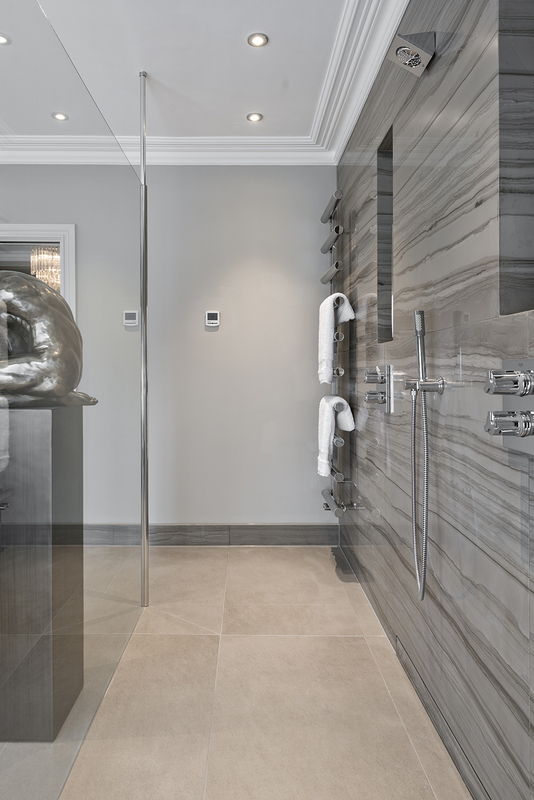 Our bathroom projects in Marlow and Henley on Thames are luxurious and include exquisite features. Concept’s in house design team will put together a proposal that is customised purely for you, making it not only beautiful and functional, but unique. 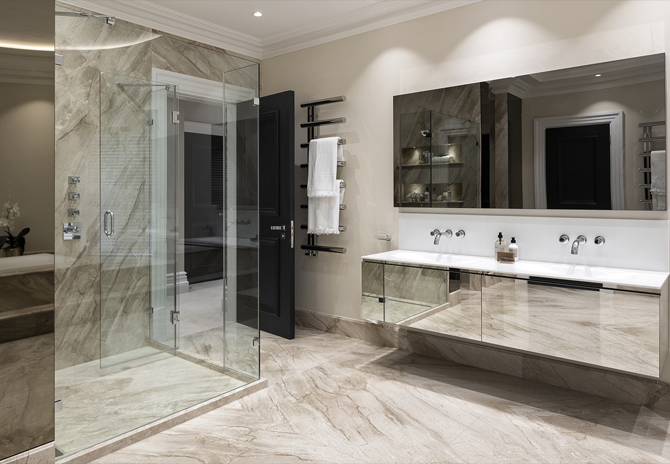 If Concept Virtual Design are appointed at the very beginning of a project, we can advise on elements such as the positioning of room doors and block or stud wall and boxing positions together with full M&E works, maximising the space available to help you create pure bathroom perfection.